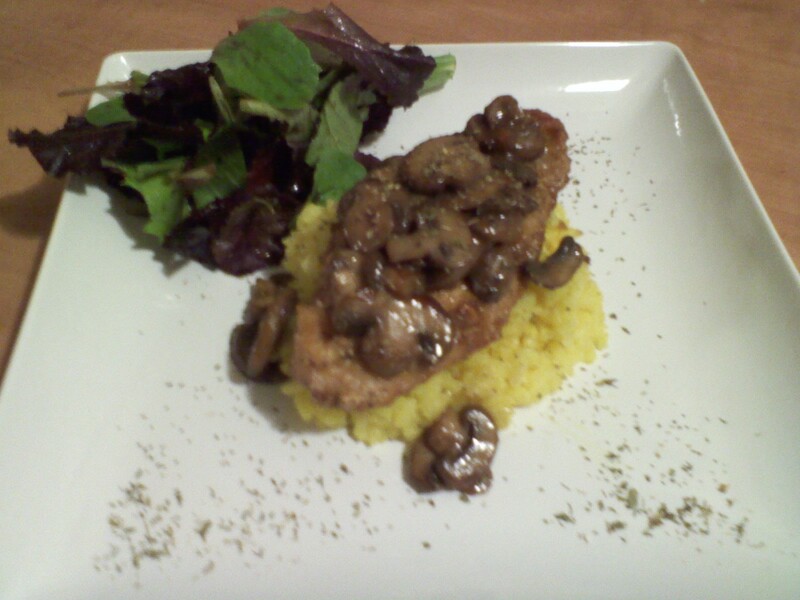 A popular dish is Chicken Marsala but instead of Pasta I decided to make it with Risotto with saffron. A side of mixed baby greens with dressing made from Balsamic Vinegar, Olive Oil and Garlic cloves. Have you ever replaced a certain side dish on a popular recipe? Looks delicious! I am actually making chicken marsala tomorrow night, but I am using a slow cooker recipe I have for it and I’ll be serving it with rice instead of pasta myself, although the risotto is a great idea! The rice is always good but the Risotto gives it that extra YUM!!! Oh Lord how I love mushrooms! Risotto was a good switch up! I’ve had lemon chicken piccata on the brain… with mushrooms of course. This was absolutely delish. So glad we could share it with you guys. Lovely and with the rice…superb! I love chicken marsala! This looks so good!